The age of Western hegemony in the Middle East is fading and Russia is moving into the vacuum. However, going by its past experience in dealing with leaders whose loyalties are known to shift like the desert sands, Moscow’s watchword should be caution. Forty-two years ago Egyptian President Anwar Sadat gave the marching orders to more than 20,000 Soviet military advisers, and forced his country into an unpopular alliance with the United States. Big mistake. The US-Egypt arranged marriage – solemnised at Camp David, with Israel as Best Man – was considered a sellout by most Egyptians, and led to the hapless Sadat’s assassination. The marriage is now showing all signs of a strained relationship. Like watching a time lapse clip, the Arab counter revolutions are blowing away the age of Western hegemony in the Middle East in a remarkably compressed span of time. After the diplomatic fumbles in Egypt, political defeat in Syria and the mess in Iraq, it appears the United States doesn’t have the stomach to stick it out. These factors combined with the shale gas boom in North America have decreased the United States’ strategic interest in the Middle East. Plus, an increasingly powerful China is drawing the American military into the Asia-Pacific. In the revolving door nature of geopolitics, if one superpower goes away then another one appears. In November 2013 in a show of support to Syria, Russia sent its most powerful warships Varyag and Pyotr Veliky – known as aircraft carrier killers – to the Mediterranean. A week later the United States recalled its aircraft carrier USS Nimitz from the Persian Gulf, along with the destroyer USS Graveley from the Mediterranean Sea. Having given the United States a taste of gunboat diplomacy, the heavy hitters of the Russian diplomatic corps stepped in. Foreign Minister Sergey Lavrov and Defence Minister Sergey Shoigu jetted into Egypt, offering advanced weapons and cyber technology. In contrast there is a sense of betrayal at the American abandonment of Egyptian dictator Hosni Mubarak, who had been a loyal US client for decades. It was made worse by the American support for the fundamentalist Muslim Brotherhood. While close allies Saudi Arabia and Qatar are aghast at the American retreat over Syria, NATO member Turkey is left red faced because it is stuck with hundreds of Chechen terrorists it has trained but now cannot insert into Syria. The right wing American Interest notes, with a tinge of envy no doubt, that Putin’s power play in Syria “has turned Moscow into the new hub for geopolitical influencing in the region, the world capital where the Egyptian general staff, the Saudi intelligence chief, the Israeli prime minister and even now the US-backed Syrian opposition all feel they must pay call in order to get things done”. The Middle East exerts a powerful influence in Moscow’s backyard. Russia’s prime concern is that the United States has been using the region as a springboard for extending US presence in Central Asia. Secondly, the petrodollar-flush gulf sheiks have been exporting myopic mullahs into once peaceful places such as Kyrgyzstan and Uzbekistan in order to plant the virulent strain of Saudi-grown Wahabi fundamentalism. 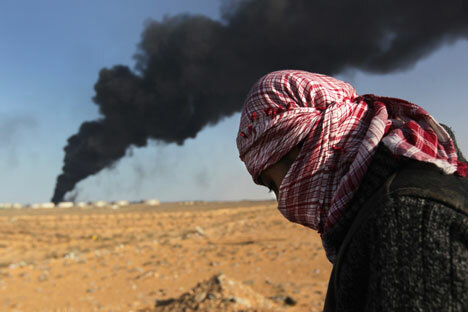 From Moscow’s viewpoint, any fallout from the Middle East needs to be contained locally. Speaking of fallout, the region is poised on the brink of a major arms race and nuclear escalation. Right now the Saudis are hyperventilating at the prospect of the Iranian nuclear bomb. If talks fail to persuade Tehran, they may ask for delivery of the “Islamic Bomb” from Pakistan. Don’t forget it was Saudi Arabia that footed the bill for Pakistan’s clandestine nuclear programme. Then there’s the “Axis of Resistance,” the term used by Syria and Iran plus Hamas and Hezbollah to describe their alliance. The four of them believe only they have the cojones to confront Israel. The Axis is likely to have a fifth member soon. With the departure of the last of the American troops from Iraq, the Iranians are expected to step up the arming of Iraqi Shiite militias, which are itching to join the fight. That along with the fear of the Iranian nuclear bomb could send Saudi Arabia and the Sunni Gulf monarchies over the edge. Russia seems to be the only country with some leverage over Iran’s nuclear weapons programme. If Iran goes nuclear, then all bets are off the Middle East. To be sure the region is not a write-off as yet. It has a young and growing population, and according to the World Energy Outlook 2013, the Middle East will emerge as a major consumption centre. It is predicted to be the second-largest gas consumer by 2020 and third-largest oil consumer by 2030. But while it is a lucrative market, the problem is it is fickle. Take Egypt. The Egyptians have shown keen interest in advanced Russian weapons, but there is the very real possibility that the Egyptians are using Moscow as a bargaining chip against the US. The link between corrupt US weapons manufacturers and equally corrupt Egyptian generals is not widely known but is an integral element of the US-Egypt relationship. A hefty chunk of the $1.3 billion in military aid goes directly into the pockets of the generals. That is how Mubarak and his cronies stayed firmly in the American camp. While Egypt is keen to take up the leadership of the Arab world, the country is still under the military’s sway. If the Americans turn on the aid spigot again, the generals might find the US again beautiful and its jokes still funny. In Soviet eyes the Arab states were friends and their enemy, Israel, was by default Moscow’s enemy. Thankfully, the Kremlin doesn’t use that that zero-sum equation anymore. The reason for that is not just Russia’s changed world view but the Aliyah – the Jewish emigration. Between 1990 and 2004 around 1.4 million Jews moved from Russia and the former Soviet republics to Israel. Russian is now the third most widely spoken first language in Israel, after Hebrew and Arabic. This has complicated Russia’s role in the Middle East. For instance, the diaspora maintains an active engagement with their country of birth, travelling back and forth between Russia and Israel. Companies founded by these former citizens in Israel are an important source of red hot technology for Russia. Before the West toppled regimes in the Middle East, non-Western companies were key operators in the region. In Iraq, for instance, before President Saddam Hussein’s fall, Baghdad was a prized posting for Indian executives. Because of their no-nonsense approach and expertise in delivering quality at low cost, companies such as such as Indian Railways and ONGC bagged a string of rail, road, bridge and oil projects across the Middle East. The Western invasion of Iraq and Libya rolled up many of these projects. ONGC, for instance, was forced to abandon its concessions in Libya when Muammar Gaddafi was ousted. At present American and British companies corner most of the lucrative projects thanks to the puppet governments they have installed. A Russian push into the region will edge out the West, and once again allow competitive bidding, which would be favourable to countries like India and China. The Americans in cahoots with Britain tried to change the map of the Middle East and failed quite spectacularly. On October 23, 1983 the largest non-nuclear explosion ever detonated killed 243 US Marines and soldiers in their barracks on the outskirts of Beirut. Days later President Ronald Reagan – who had bragged the United States would never retreat from Lebanon – pulled out. Iraq and Libya are living proof that Washington and its sidekick did not learn their lesson. On the other hand, Russia’s advantage is that the Arab street knows it does not seek to grab their resources and land like the West does. Moscow’s friendly relations with members of the Axis of Resistance and the presence of the large number of former Russian citizens in Israel have given it leverage on both sides of the Arab-Israeli faultline. Putin has showed some deft moves in the region, but he’s now dealing with a new Middle East which is re-energised by Egypt’s return. If the Russian President can manage the seemingly impossible task of getting the Arabs and Israelis to make mutual concessions, then he – more than anyone else – can change the face of the Middle East.